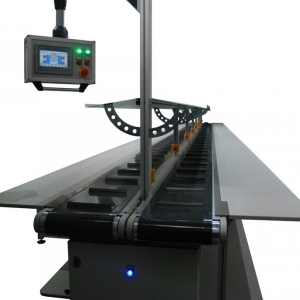 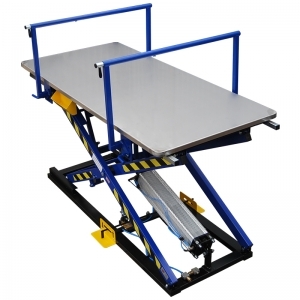 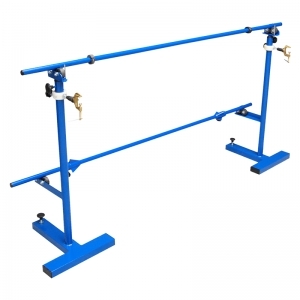 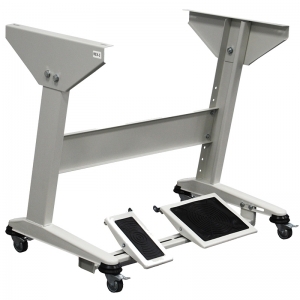 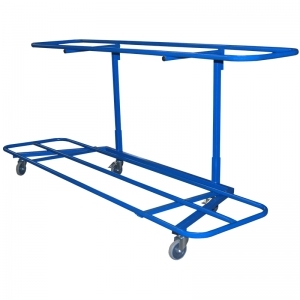 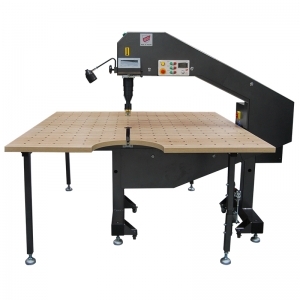 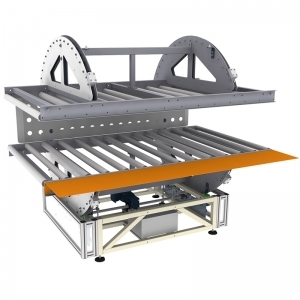 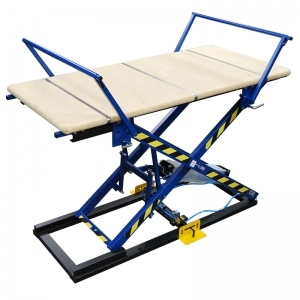 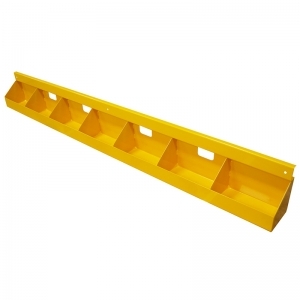 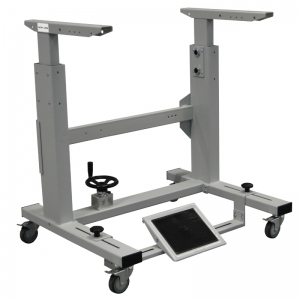 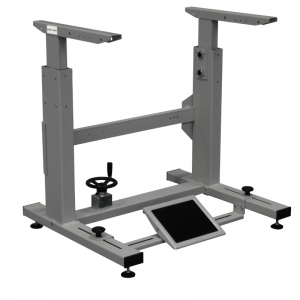 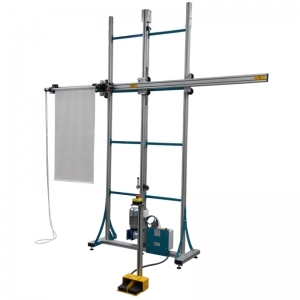 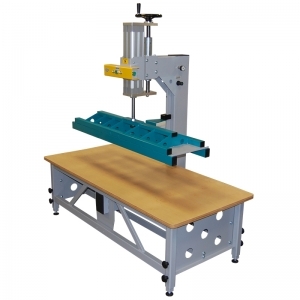 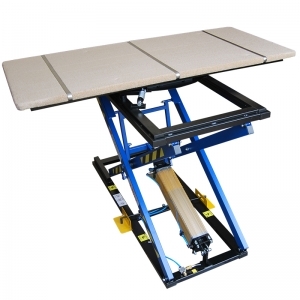 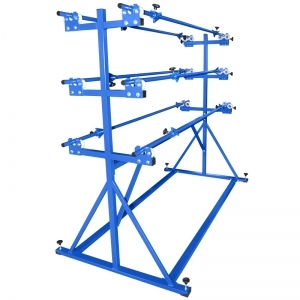 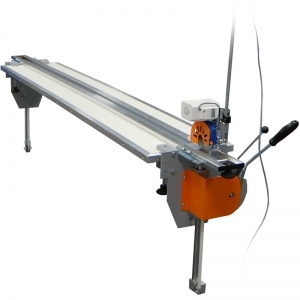 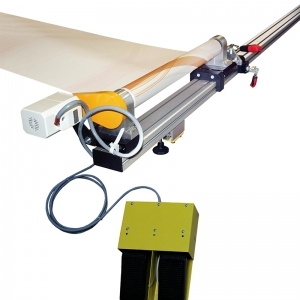 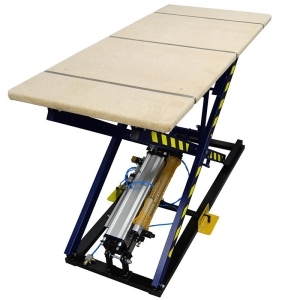 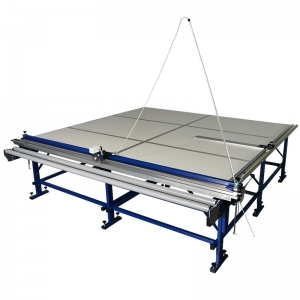 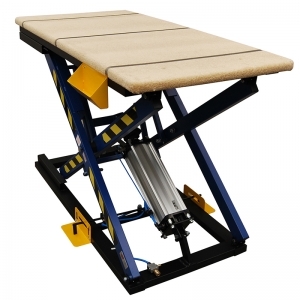 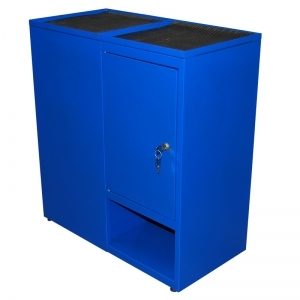 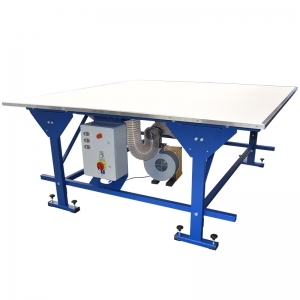 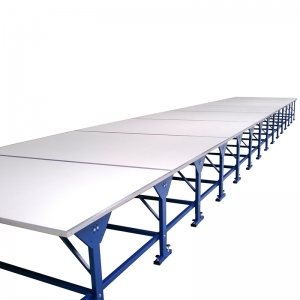 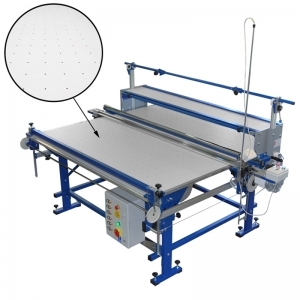 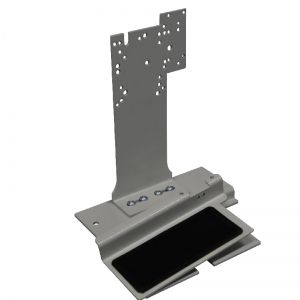 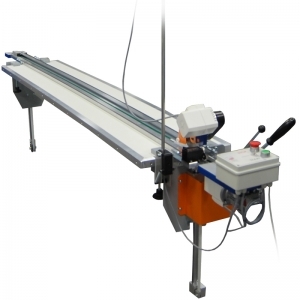 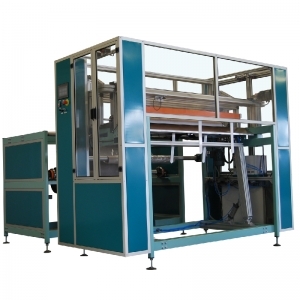 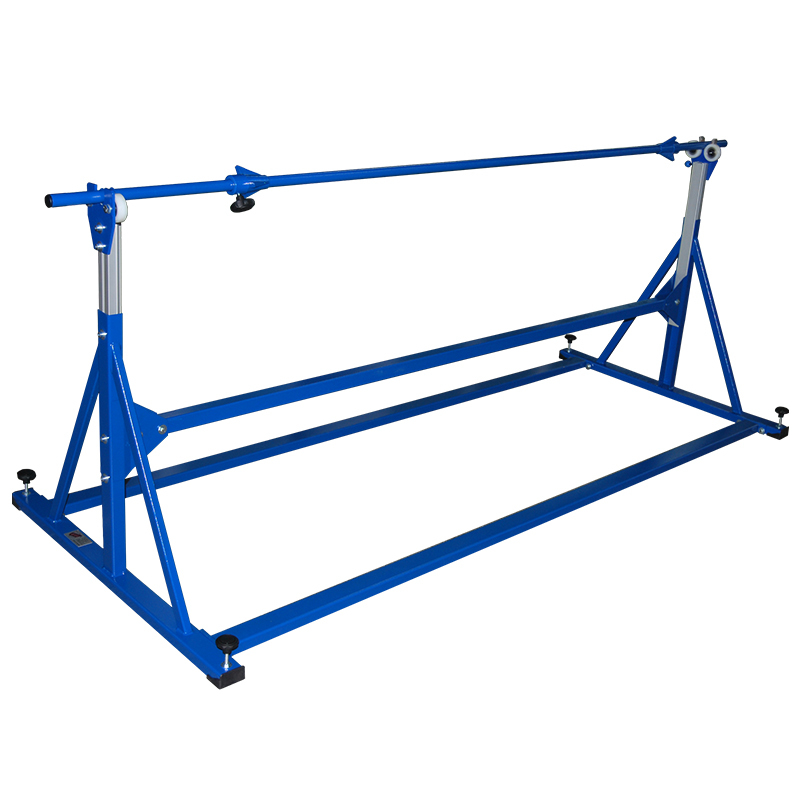 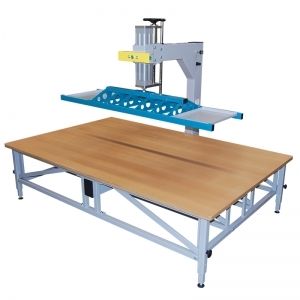 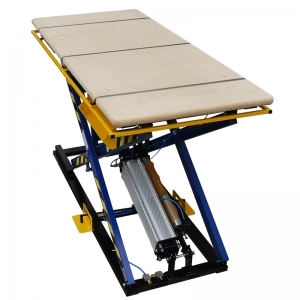 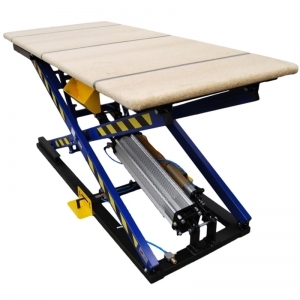 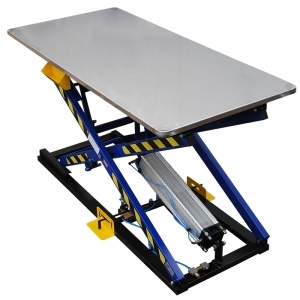 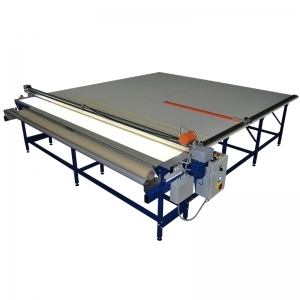 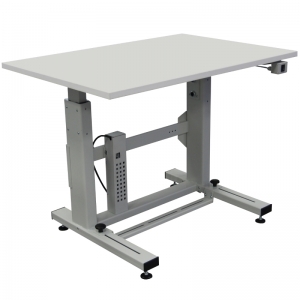 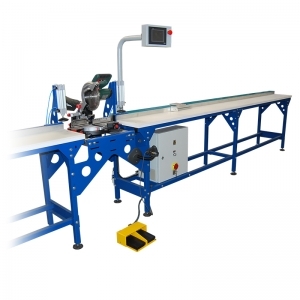 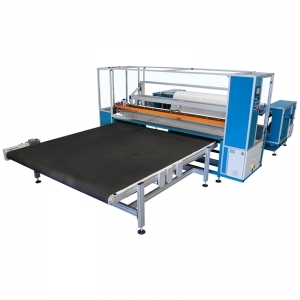 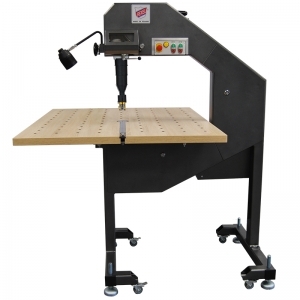 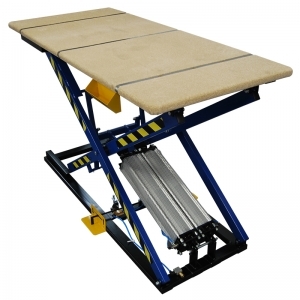 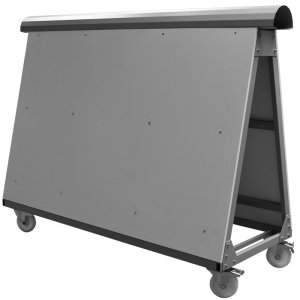 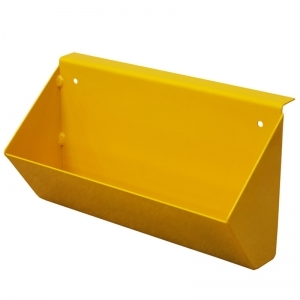 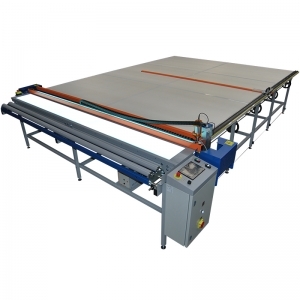 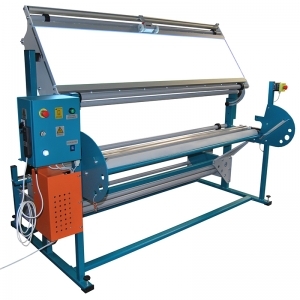 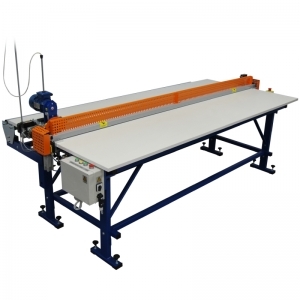 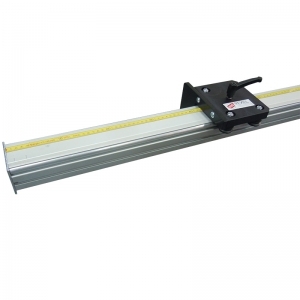 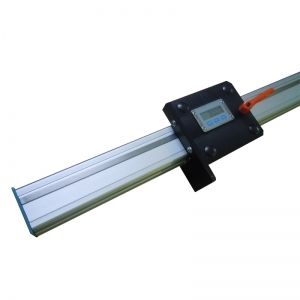 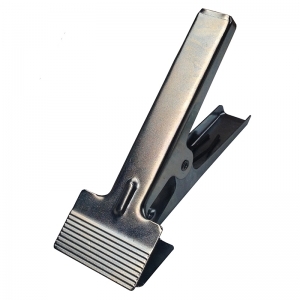 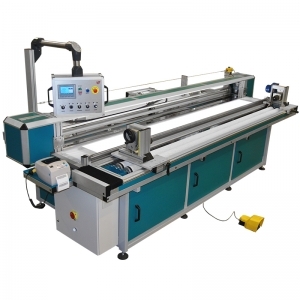 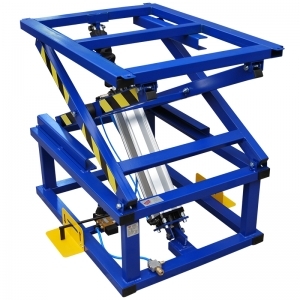 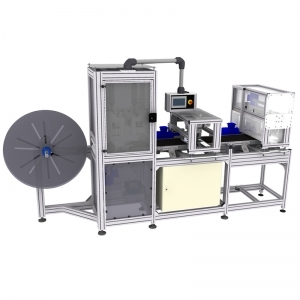 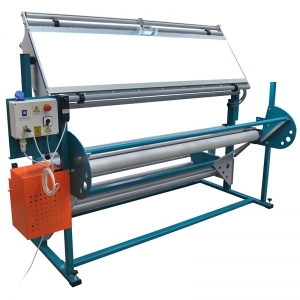 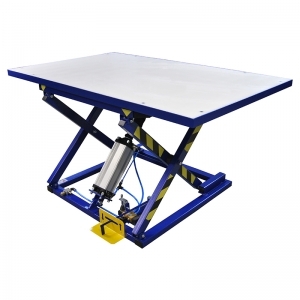 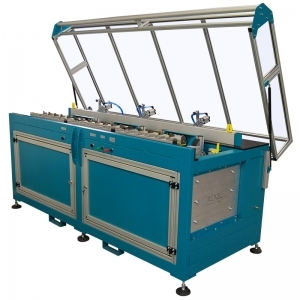 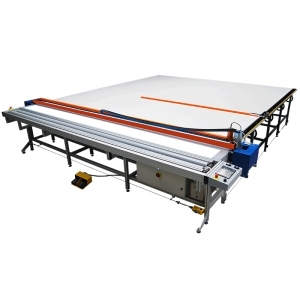 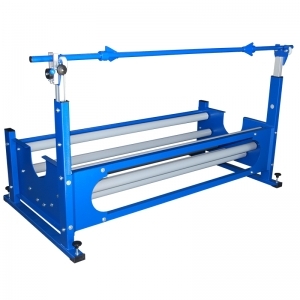 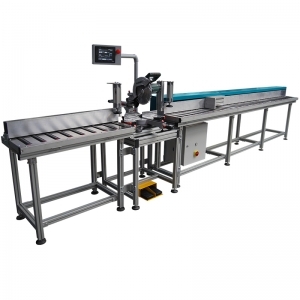 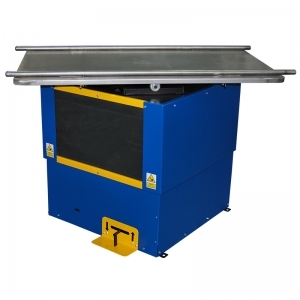 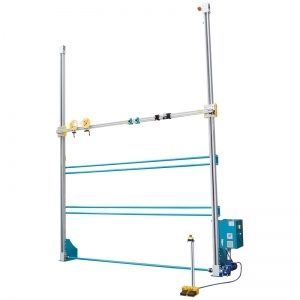 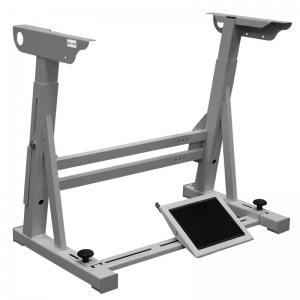 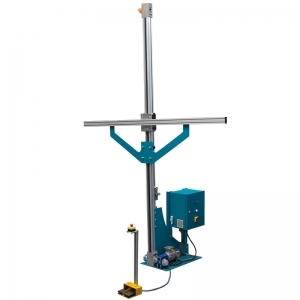 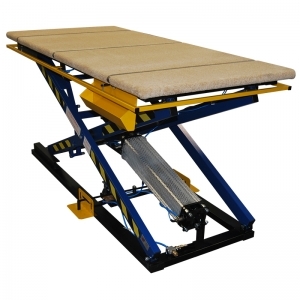 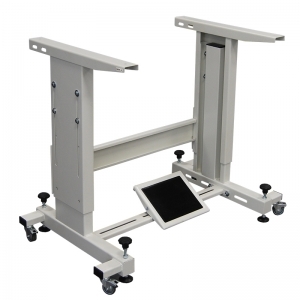 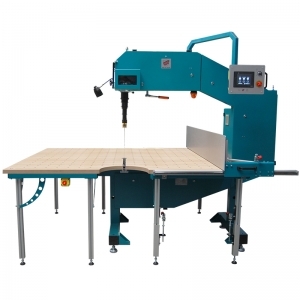 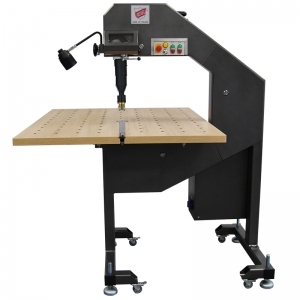 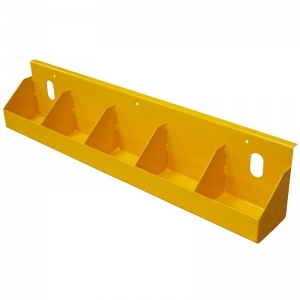 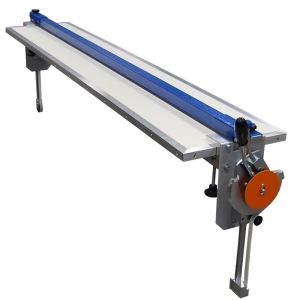 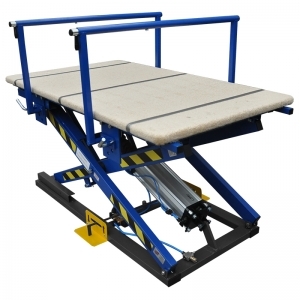 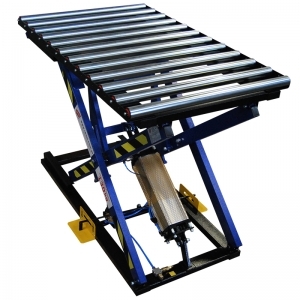 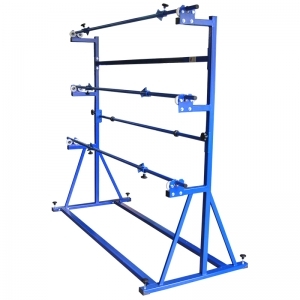 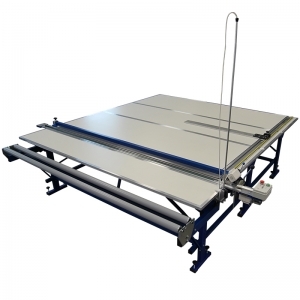 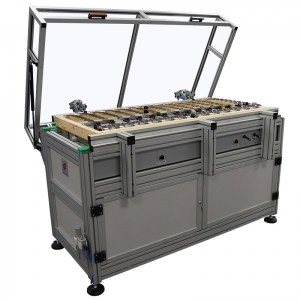 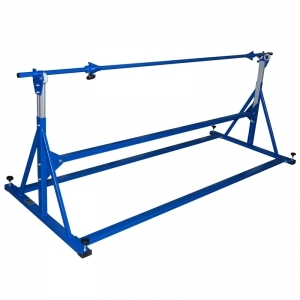 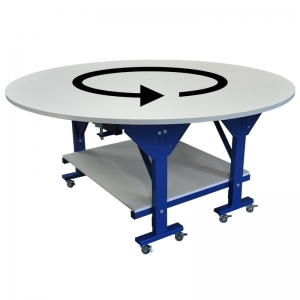 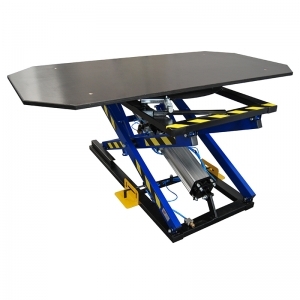 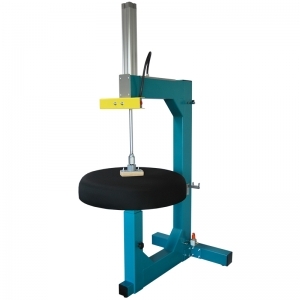 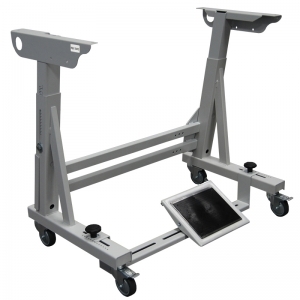 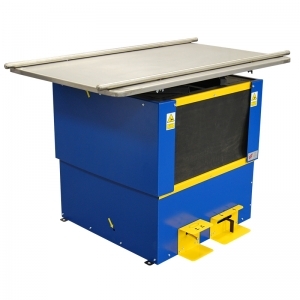 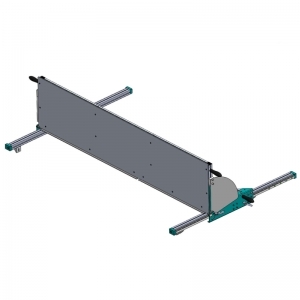 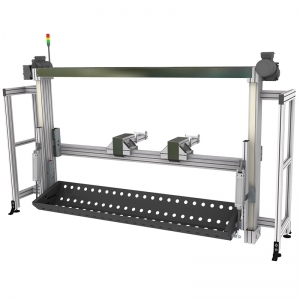 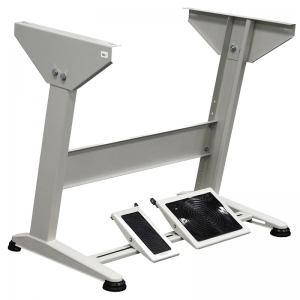 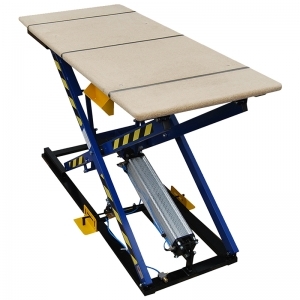 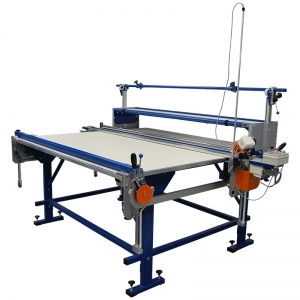 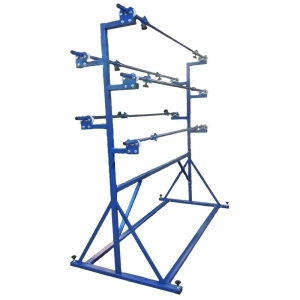 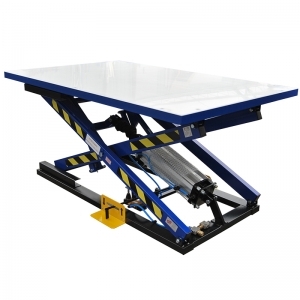 Material roll rack LS-I/W is designed for one roll. 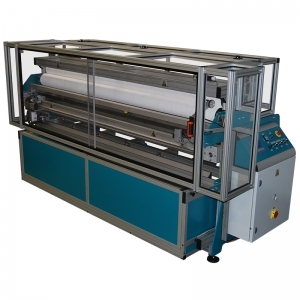 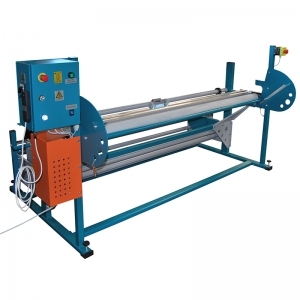 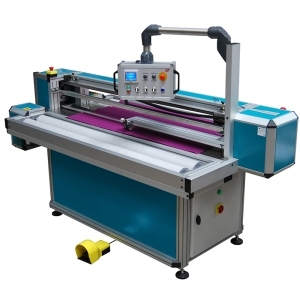 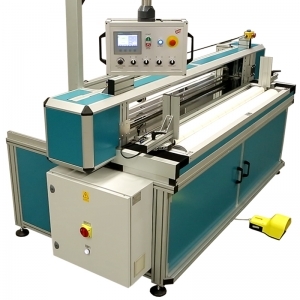 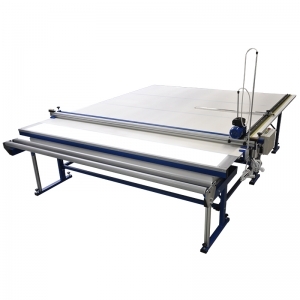 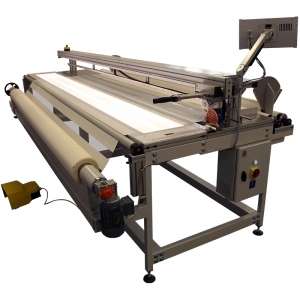 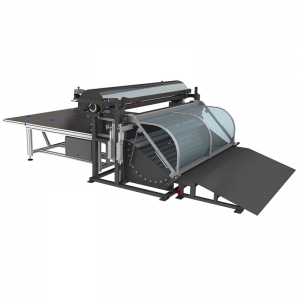 - Universal roll racks designed for fabric roll storage or feeding. 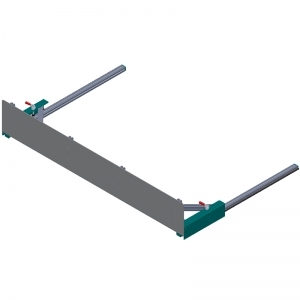 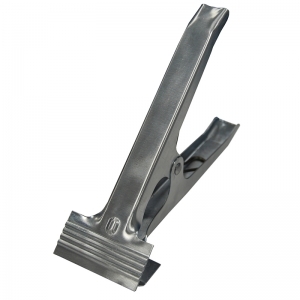 - Frame made of closed steel profiles and powder-coated tubes. 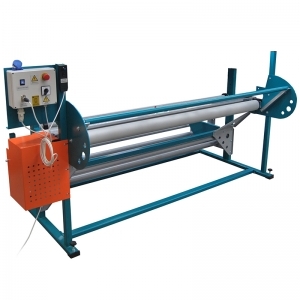 - Tubes equipped with special cones that can be blocked to fix the roll. 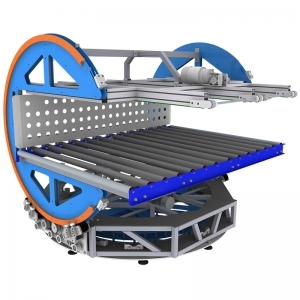 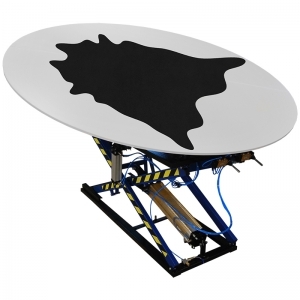 - Tubes are placed in special slots between wheels on bearings. 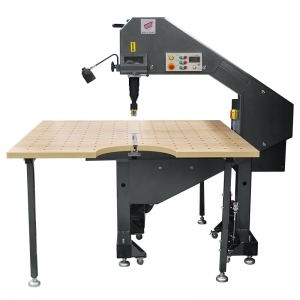 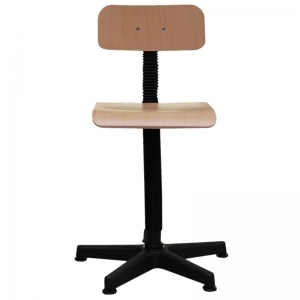 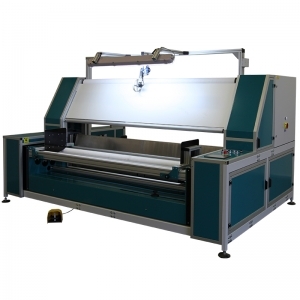 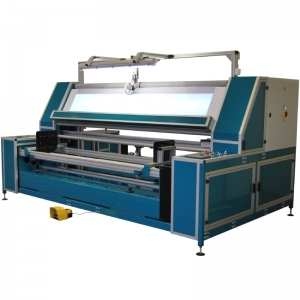 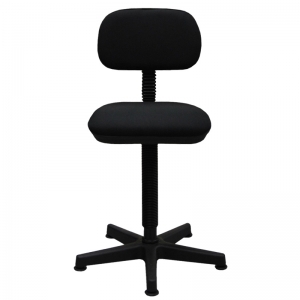 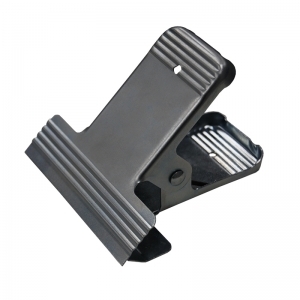 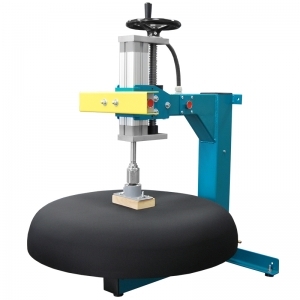 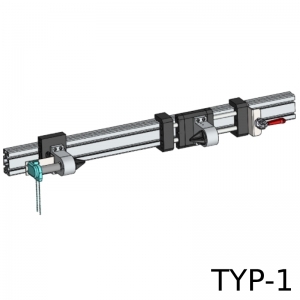 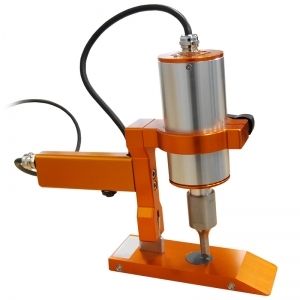 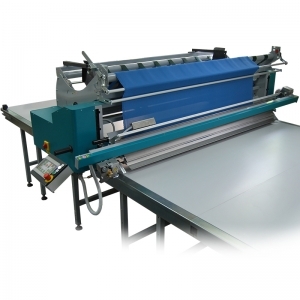 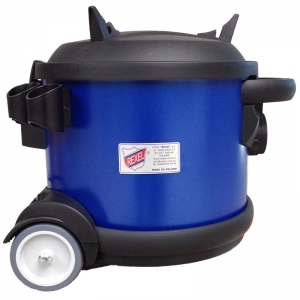 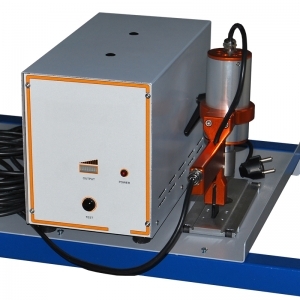 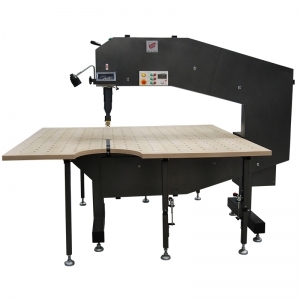 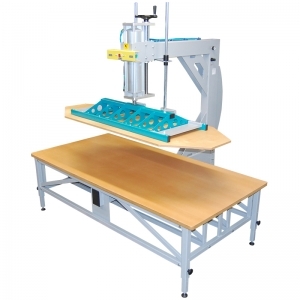 - (Optional) Special brake system to prevent self-unwinding of the fabric rolls. 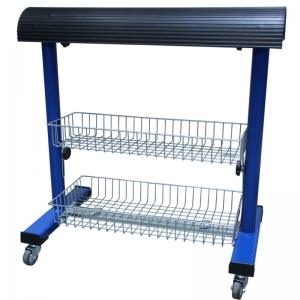 - Non-standard roll racks are available on request.